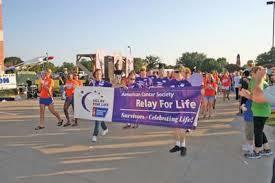 "WHAT IS RELAY FOR LIFE? Help even the odds in the fight against cancer. The funds you raise through Relay For Life will not only honor survivors and remember loved ones, but also help give cancer patients and their families the resources they need, like free rides to chemo, free places to stay near hospitals, and a live 24/7 helpline for answers and support." 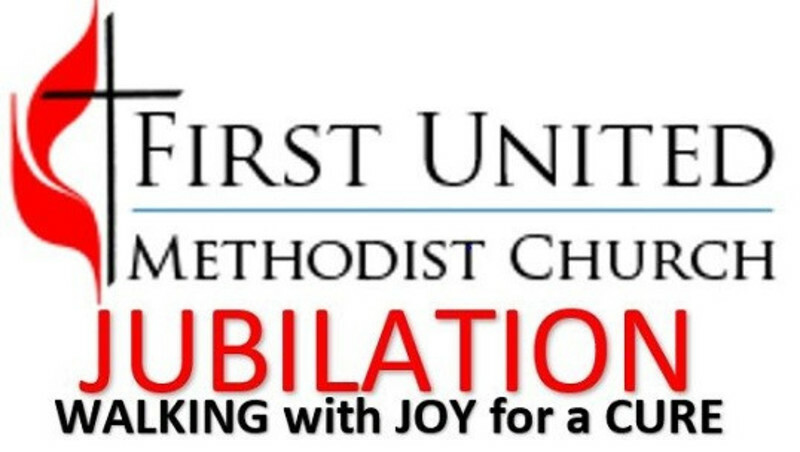 FUMC has a team for the Relay For Life of Ennis called FUMC Jubilation. The team motto is “Walk with Joy for a Cure.” Linda Vineyard is the Captain of our team. 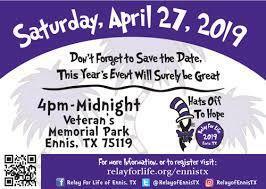 Relay for Life of Ennis is April 27 from 4pm to midnight at the Veteran’s Memorial Park. The Relay starts with Survivors walking the track while everyone celebrates their survival. There is also a free Survivor dinner. After the Survivor Lap, the teams take the track. At least one member of each team walks the track. Others play games and visit. At 9:00, is the Luminaria ceremony where we light Luminarias to remember those we have lost and to celebrate cancer survivors.